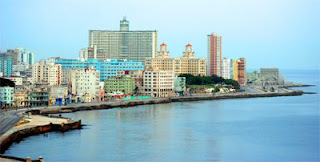 HAVANA TIMES — Our publication is now in its fifth year, and every six months I try to go to Havana to meet with the writers, see friends and take in some of the cultural calendar. In December, HT held its meeting with over 20 contributing writers and photographers in attendance. With everyone bringing something to eat or drink, we always have a light lunch first and then get down to discussing the publication. One of the main topics this time was fantasizing the possibilities of what we could do when Internet arrives in Cuba for the general population. Our goal is to operate more as a collective for decision-making; divide up responsibilities for different sections of the site; and institute writer participation in the comments on the different posts as well as on the social networks. The current Internet situation in Cuba is actually worse for our writers and readers now than it was a couple of years ago. Some of the workplaces that do have access, albeit excruciatingly slow, either block HT on their servers or let their employees know that they’d be wise not to visit it. E-mail, the main way our articles are distributed, is still difficult for many Cubans. About half of our contributing writers do not even have their own account and must receive correspondence and send their work from someone else’s account. Many still do not have their own computer, which also makes writing difficult. 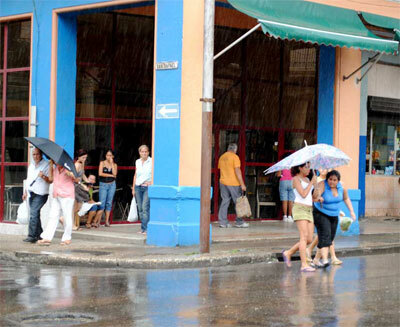 However despite the limitations, which are a fact of daily life for most Cubans, people continue writing with enthusiasm and contributing to our publication and would be in a position to do so more often if the operating environment were better. Personally I believe the Internet will arrive when there is a political will for that to happen, something that has clearly not been the case to date. It could happen tomorrow or in five or ten years, but the cost of isolation is growing fast. I say this because the Cuban government has proven in the past that when it wants to invest in an important field it can do it with or without the US embargo that tries to hinder any advances in the country’s economy. In the fields of bio-technology and medicine, Cuba has made major investments and recorded major achievements and advances that are recognized worldwide and in the markets, as well as in its cultural industry. If the leadership made it a priority to get the population out of the dark ages in terms of information technology, led by the Internet, I believe they could surely do so. Many people thought that Internet access was going to improve to some extent, either directly or indirectly, if the fiber optic cable laid from Venezuela to Cuba nearly two years ago actually went into use domestically, even if only at workplaces and educational institutions. However, from what people know second hand, corrupt officials effectively sabotaged the effort. For some reason, the details of what happened have never been made public, similar to other major scandals uncovered by the Comptroller’s office but hushed up in the official Cuban media. As editor of the publication, I restated our policy of being a site that, in addition to our news and photo feature coverage, attempts to reflect the diversity of opinions held by Cubans about their country on a wide range of issues and topics. welcome as we try to facilitate a healthy debate on the different issues facing the country. In concluding I want to wish all of our readers a very Happy New Year for 2013.